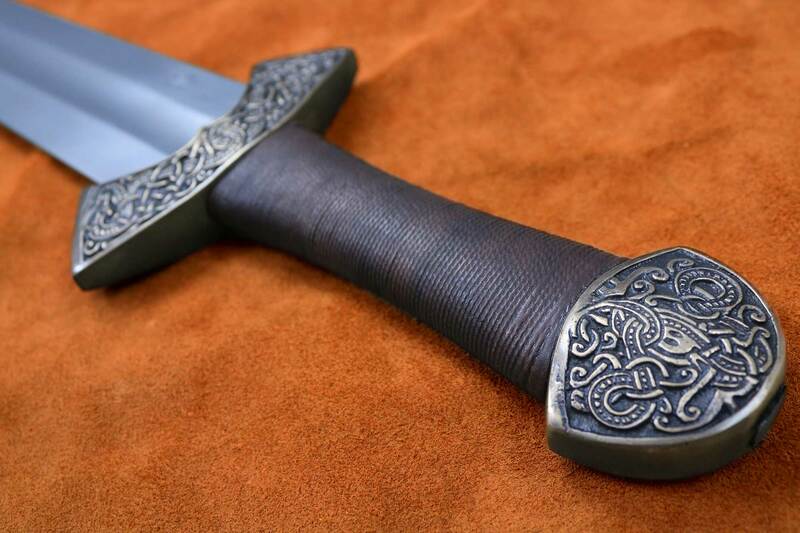 Viking swords have the reputation of being hacking weapons with little in the way of grace or beauty. 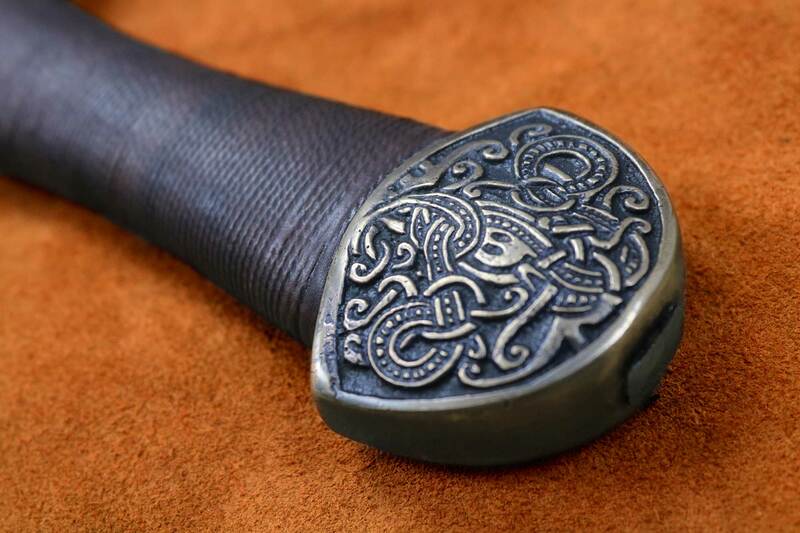 Viking swords have the reputation of being hacking weapons with little in the way of grace or beauty. This popular misconception was perpetrated over the last 80 years by Wagner operas and Hollywood films. 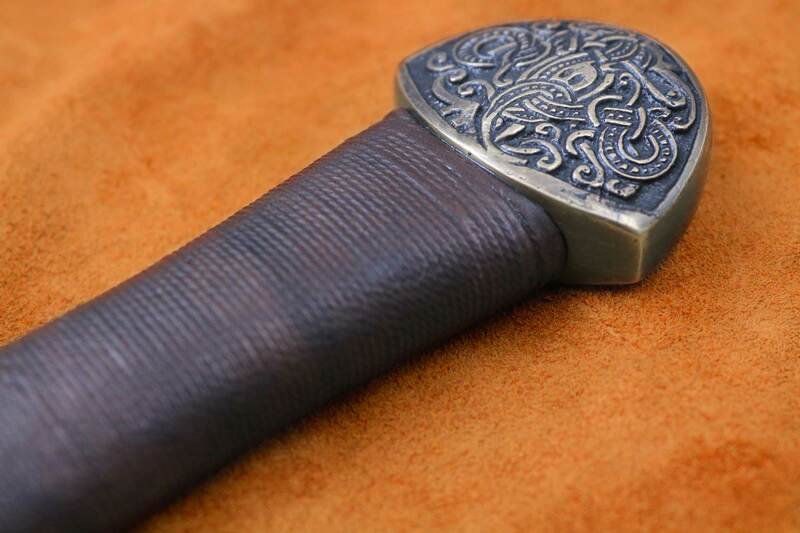 Over the last two decades however, collectors and sword enthusiasts who study Viking culture widely recognize that is simply not the case. 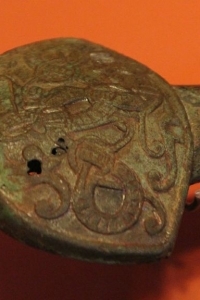 Many remaining Viking swords are not only functional, but beautifully decorated. 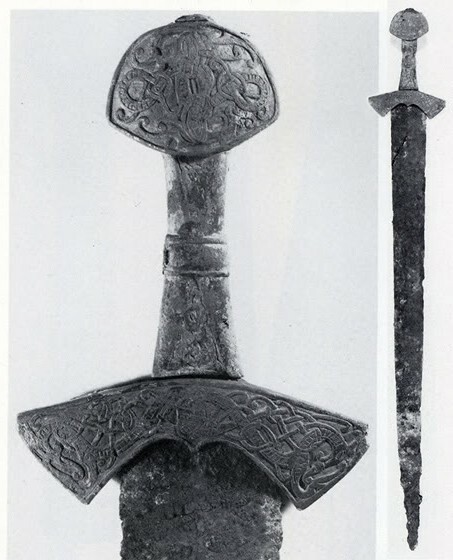 One such example is this elegant 11 th C. Suontaka Viking sword, found buried next to the body of a Viking princess in Finland. 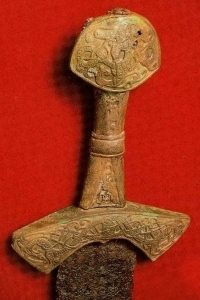 Interestingly however, little is known about the sword, its maker, and the Viking woman it was made for. While the remarkable grace and detail suggest a person of high rank or status, no clues attest as to who exactly this princess was. 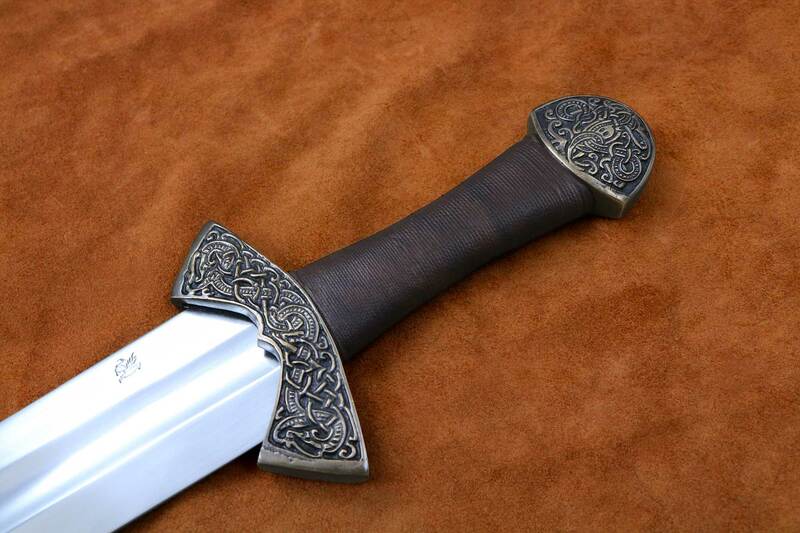 Exquisitely crafted, the 11th C. Suontaka Viking sword is the finest of its kind. 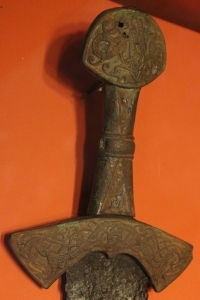 The elegantly carved knot-work on the guard and pommel reflect the height of Viking art. Mirroring the dragon-prowed ships of the raiding Norsemen, the guard and pommel show the scrolling knots of dragons in interlocking loops. 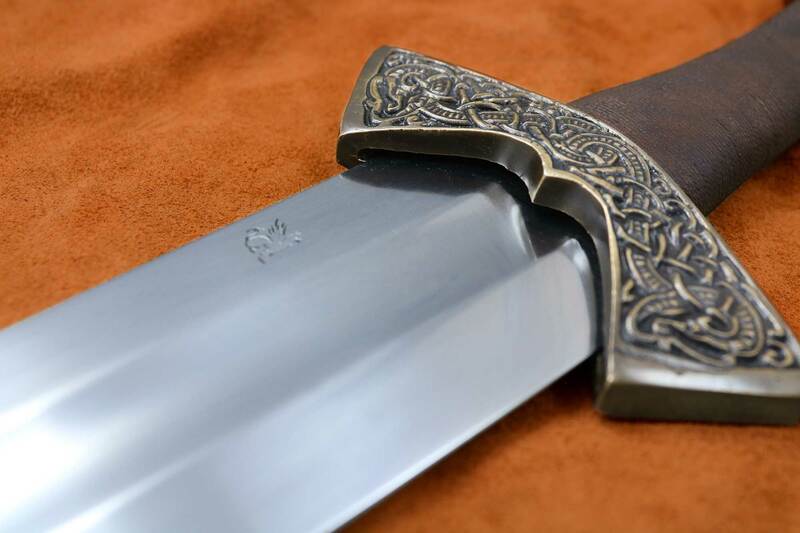 The blade has a deep, crisp fuller typical among Viking swords of the period, impeccably complimenting the intricate hilt design. While working on the guard and pommel, considerable attention was given to the detailed knot work associated with the sword. 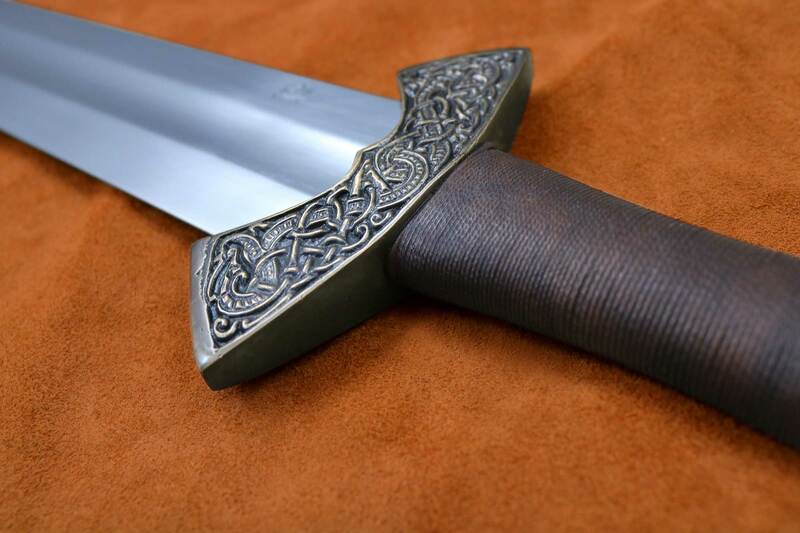 Darksword Armory’s initial step in making this piece was to study original photographs of the medieval sword. We then magnified the photographs allowing our staff to recreate this beautiful piece. I received my 11th century Viking Suontaka sword two weeks ago. Wow. This is the first I have purchased in over fifteen years. In high school I had purchased more or less wall hanger swords by other companies. This my first REAL sword. I wanted a sword that was mostly historically accurate but more importantly a sword that is built like a tank that when if we ran out of bullets during the zombie apocalypse (humor), you could fall back on this. Strong and beautiful is the simplest way to describe this sword. My renewed interest in swords came about when the whole AncestryDNA thing came along and I discovered I had a pretty extensive Viking/Norman heritage. 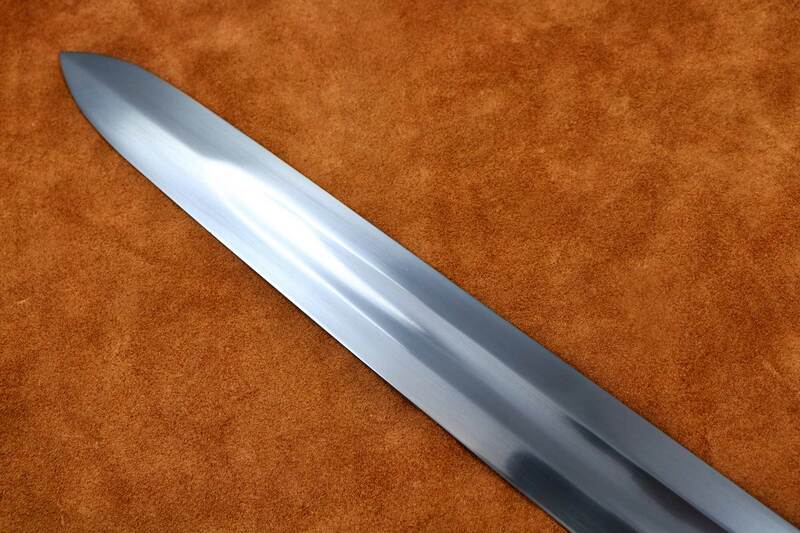 So, I will most likely be picking up one of the Darksword Norman options in the next couple of months. Thank you to everybody at Darksword Armory. I will be getting with y’all again in the very near future.